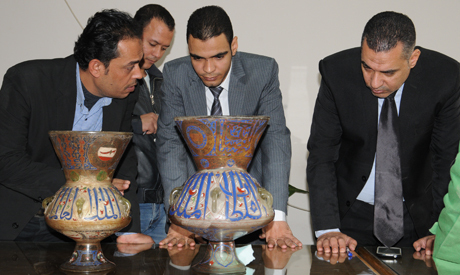 The Ministry of Antiquities officially received on Thursday two Islamic-era Egyptian lamps that were recovered last week from the United Arab Emirates (UAE). The antiquities ministry received the lamps in a ceremony at the Ministry of Foreign Affairs headquarters on the Nile Corniche in Cairo. 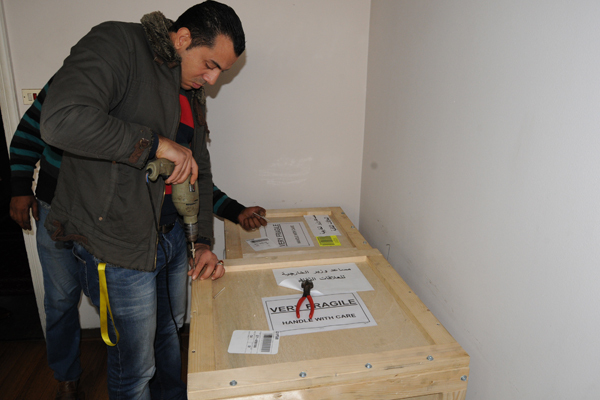 Shaaban Abdel-Gawad, general supervisor of the Antiquities Repatriation Department at the antiquities ministry, told Ahram Online that the lamps were stolen from the store gallery of the National Museum of Egyptian Civilisation (NMEC) in 2015, along with two other lamps. The thieves replaced them with replicas. 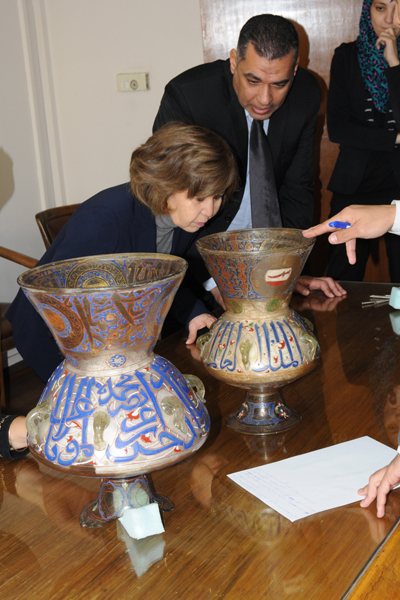 Abdel-Gawad explained that one of the two lamps recovered from the UAE belonged to the 19th century Prince Soleiman Agha Selehdar, while the other belonged to The Mamluk Sultan Al Nasir Hassan (1334–1361). The third of the stolen lamps belonged to 14th century Mamluk Sultan Barquq and was recovered from London in 2015. The fourth lamp is still missing.